Your breasts are small so you won’t need a bra. not cotton, or you’ll fight the yeast year round. At nine, through the mist the coven of gossips appear. too much soap on them, or labor for that matter. and her husband doesn’t even see her. lean in close and listen, rest your arms. Lonely wives leave the best tips, be assured. but a couple lira is all they leave behind. Can’t please them, so don’t pay them any mind. as if it’d suddenly turned to ebony. to find you a husband. How old are you? Oh, you’re young! Duygu will start straightaway. but don’t be fooled. She’s here for the bath. Don’t leave an ounce of dead skin on that core. If you haven’t done a good job, she’s a bear. even though they want you to be less so. You’ll enjoy scrubbing her with force. let alone how they get out their front door. They’re not here for leisure or chitter-chatter. for you’re the only one to touch them all over. and she wants that stigma away from her hearth. have stopped coming all together. How old are you? Oh, you’re young! Do your friends visit the hammam? Of course not! each other to a woman’s company. Mehmet prefers it too much, I figure. Now don’t forget to bathe yourself! in his mind’s eye. But Naz is 22 and unmarried. and Naz knows it. How old are you? Oh, you’re young! Duygu will love you! 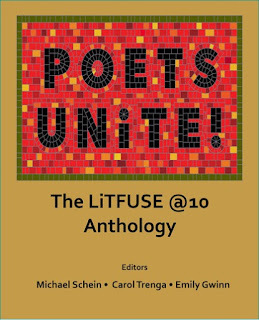 First published in POETS UNiTE! 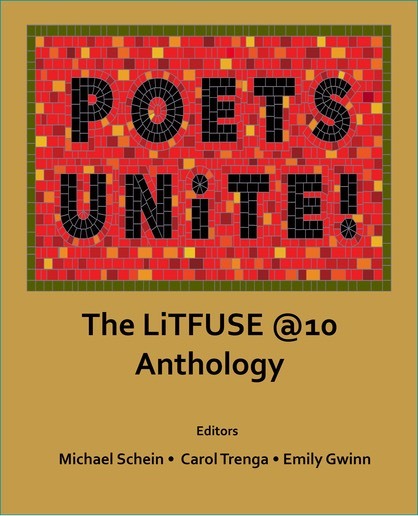 The LiTFUSE @10 Anthology. Edited by Michael Schein, Carol Trenga and Emily Gwen. Yakima, WA: Cave Moon Press. Sept. 2016. Print.